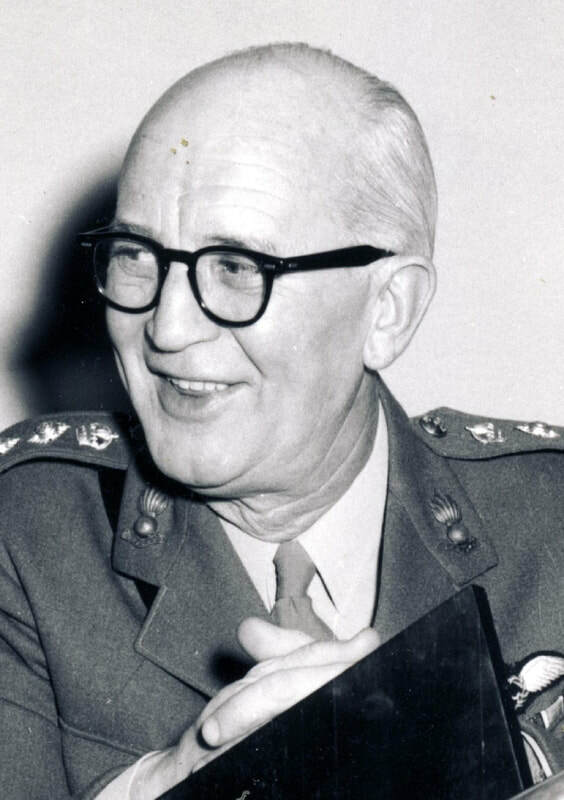 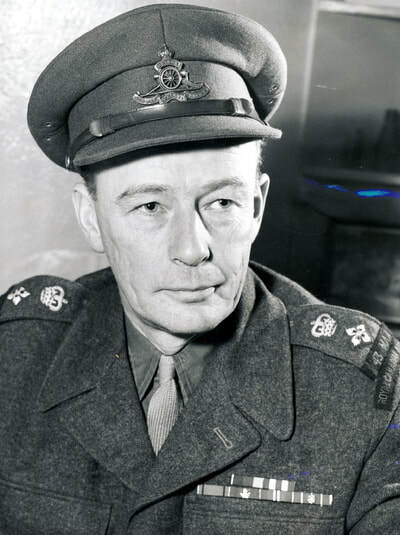 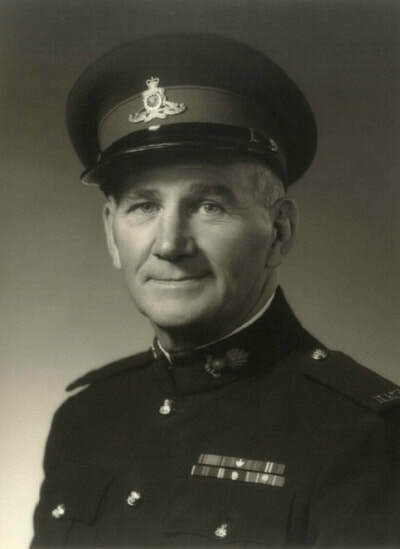 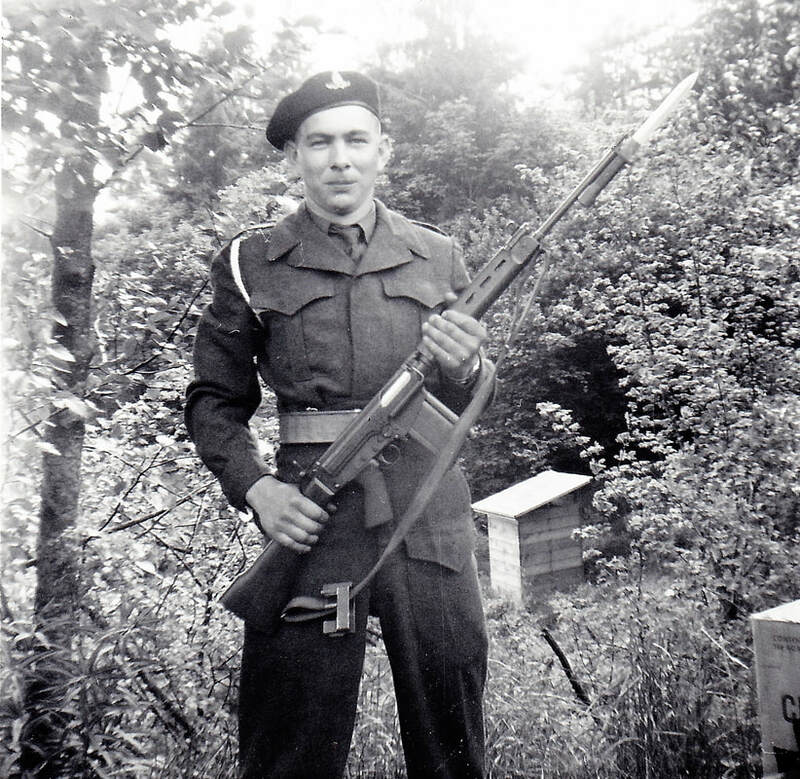 ​Bombardier William (Bill) T. Wickett promoted Sergeant. 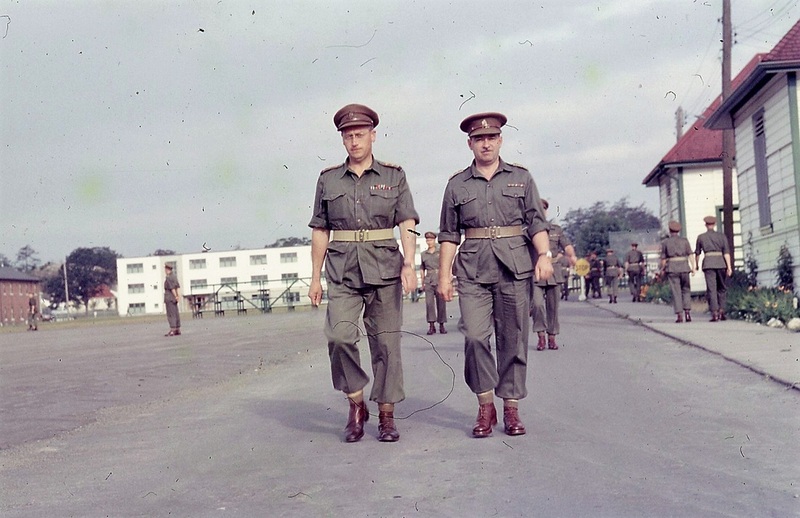 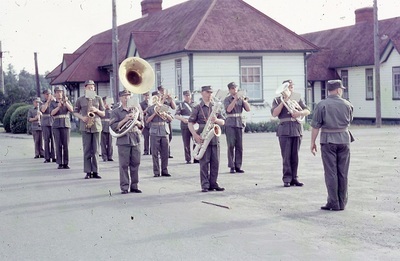 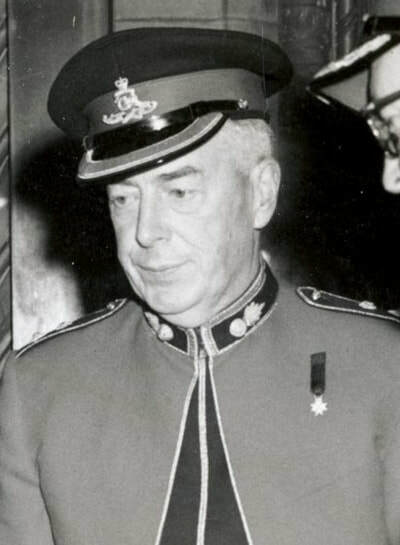 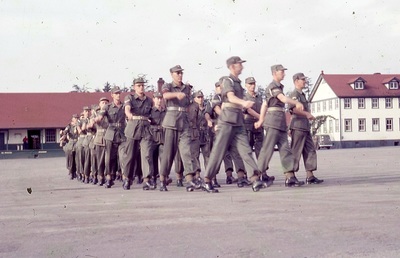 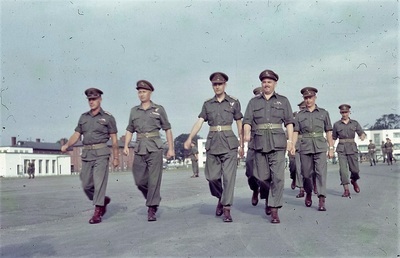 The Camp was held in Victoria from 1 to 7 July 1957. 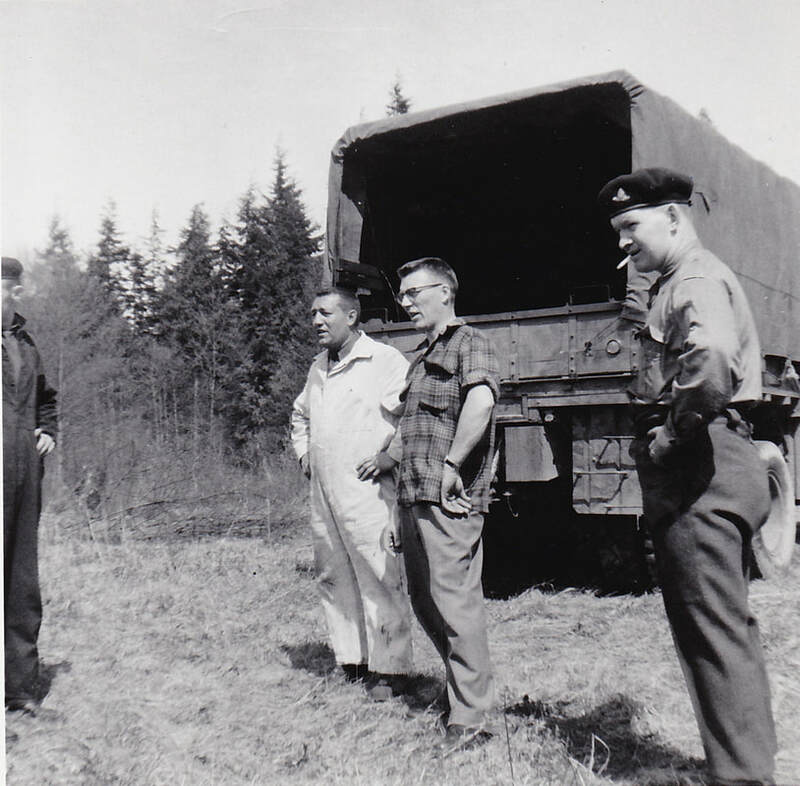 Bombardier Bill Wickett attended with Bombardier Jim Mancor. 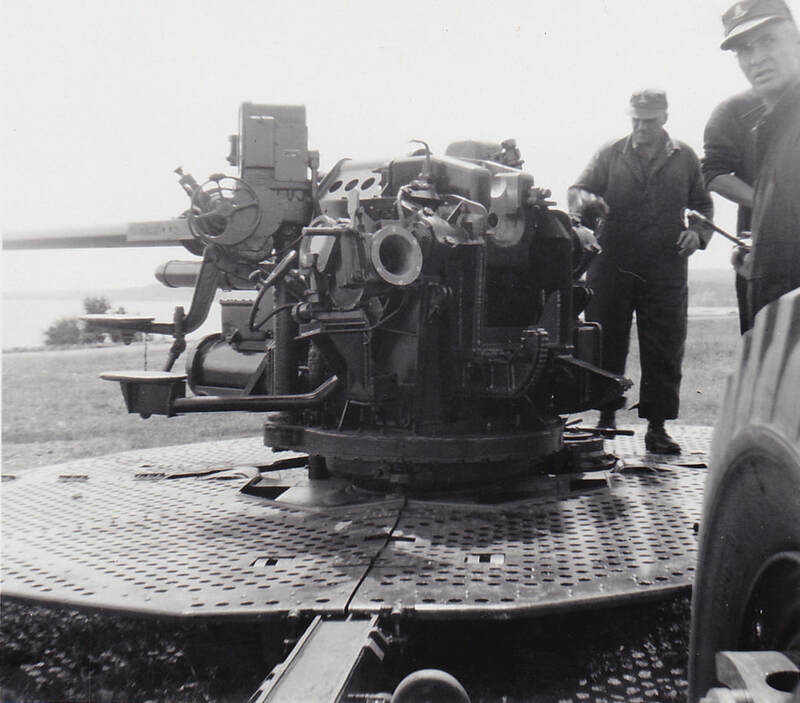 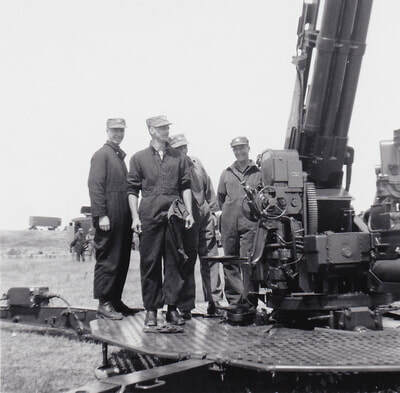 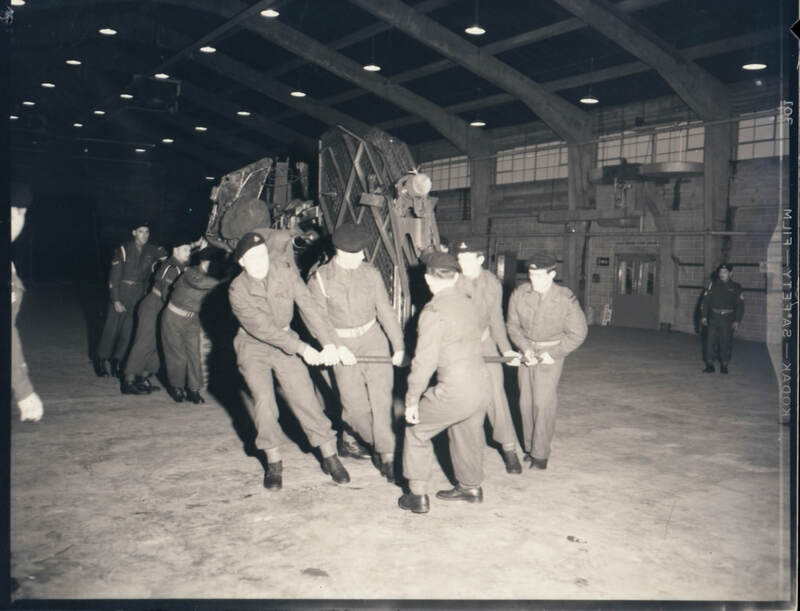 The training was on the Quick Firing 3.7-inch Anti-Aircraft gun. 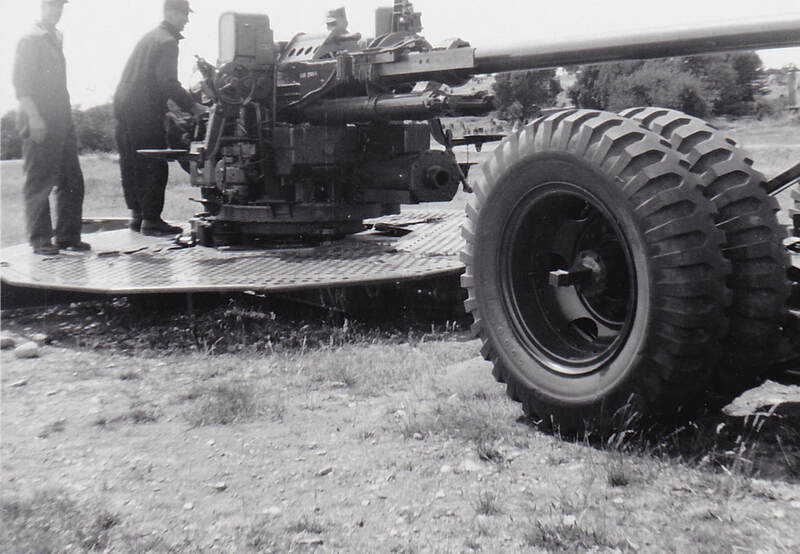 The projectile weighed 12.7 kilograms (28 pounds) with a range of 18,800 meters (20,560 yards). 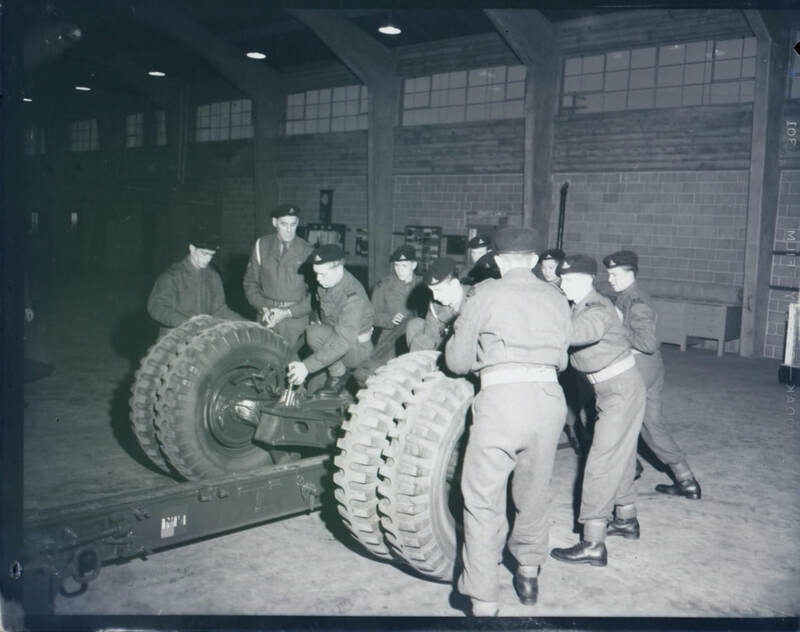 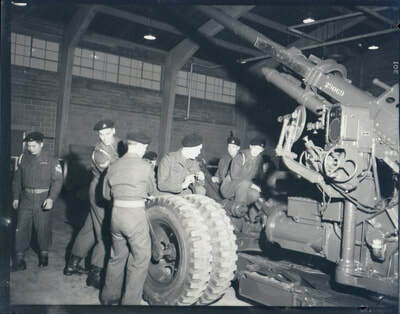 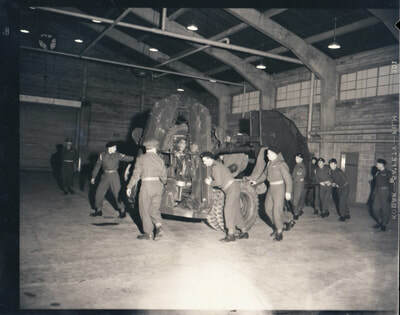 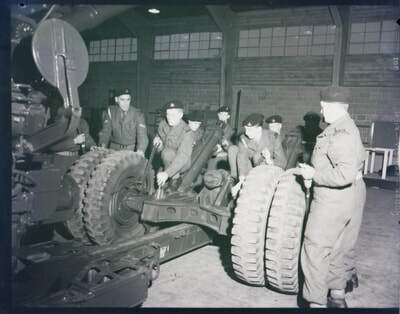 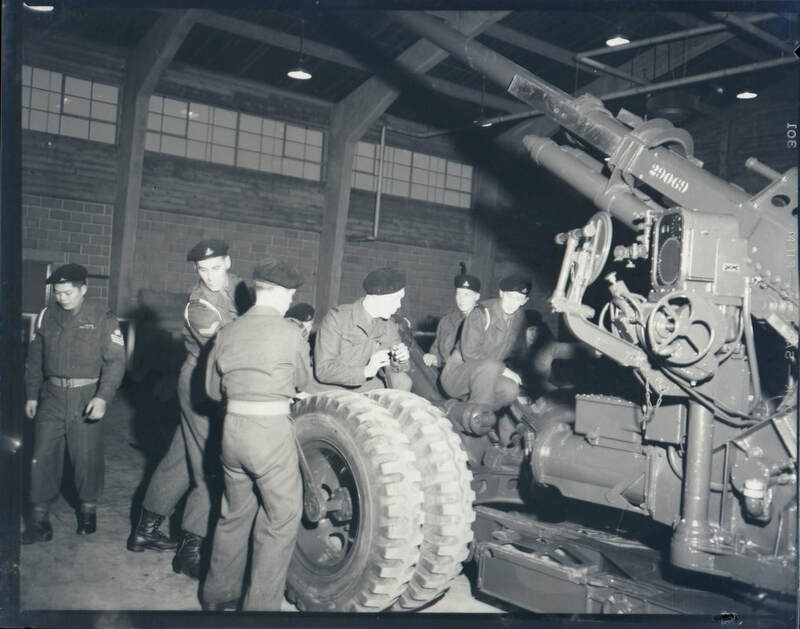 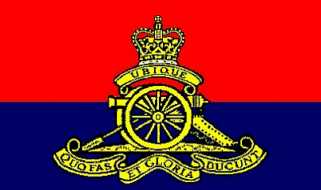 The detachment consisted of 7 gunners. 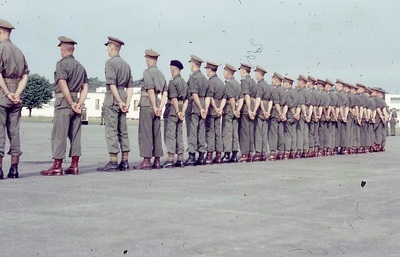 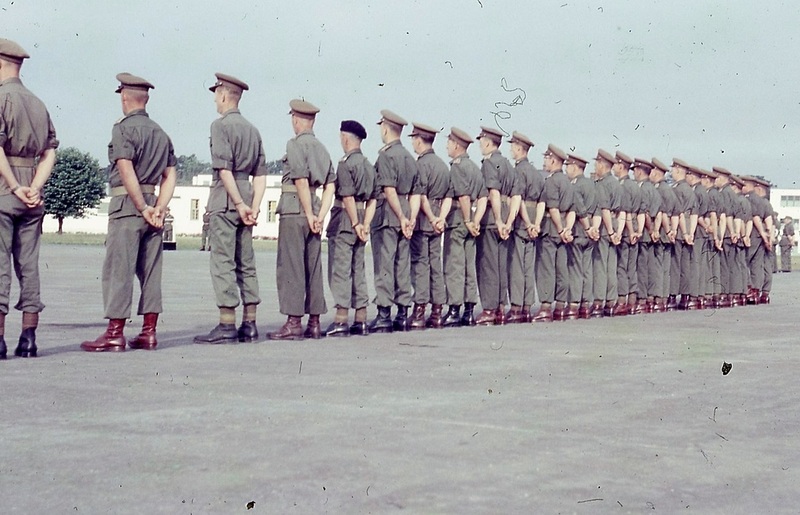 The slides were labelled 43rd MAA Regt RCA however there were no dates attached. 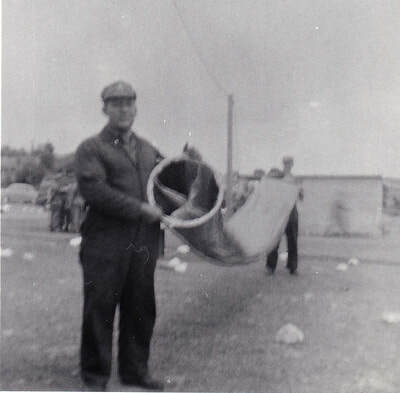 I've placed them on this page due to the few clues that are in the photos themselves. 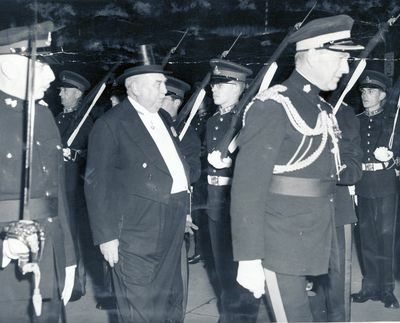 We know that the parade was held in May 1957 but we're unclear as to the circumstances. These photos appear to be at a training session in an unknown location (could it be the hangar at Jericho where 102nd was stationed?) 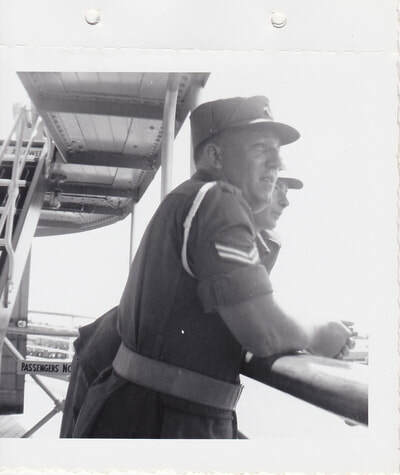 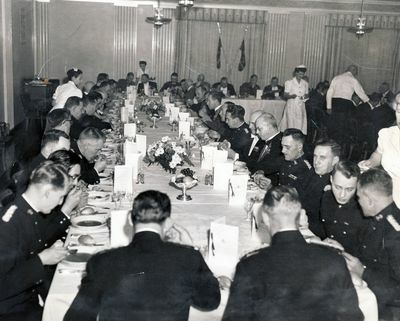 I've placed it in 1957 as I believe that I can see Sergeant Bill Wickett in 2 of the photos. 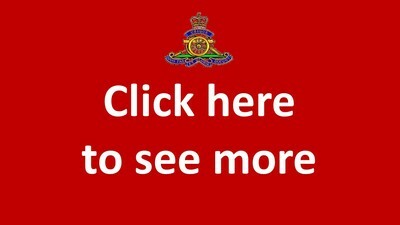 Am I correct? 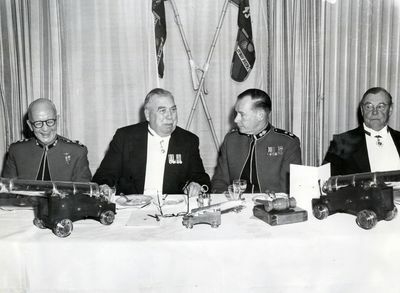 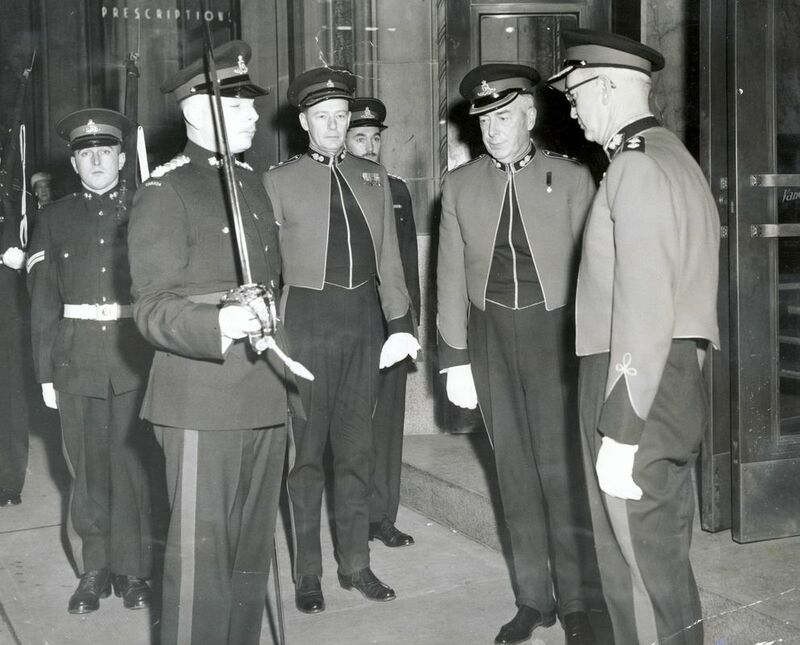 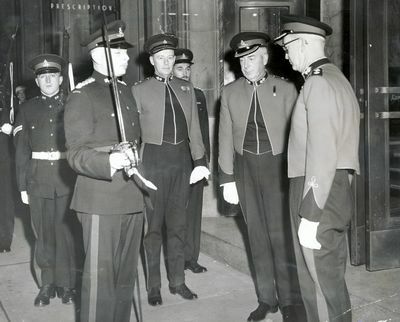 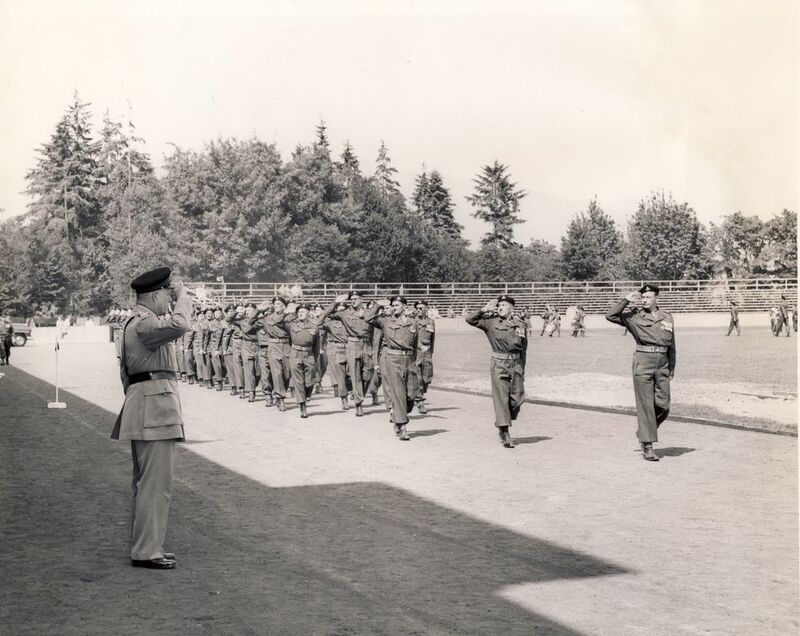 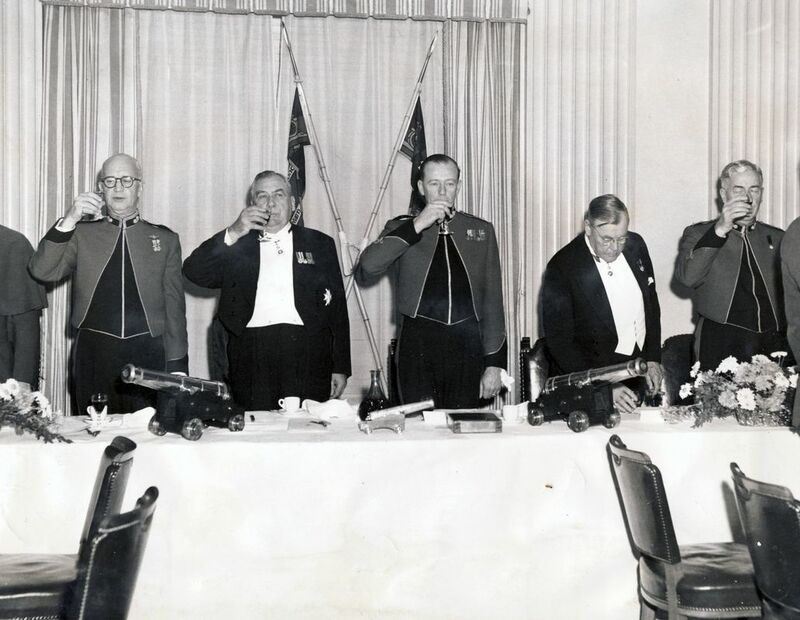 The event was held downtown Vancouver with such esteemed guests as the Lieutenant-Governor of British Columbia, Frank MacKenzie Ross arrives and reviews the Quarter Guard.